On our second-last night in Florence, we decided to visit Il Santo Bevitore, which had been recommended by a foodie friend. As we had heard it was popular, we headed there early, only to be rejected with a dismissive ‘full today’. Luckily, they let us make a reservation for the following night, but again, the tone was gruff to the extreme, as the lady carelessly misspelt my friend’s name in a big book and shooed us out the door. 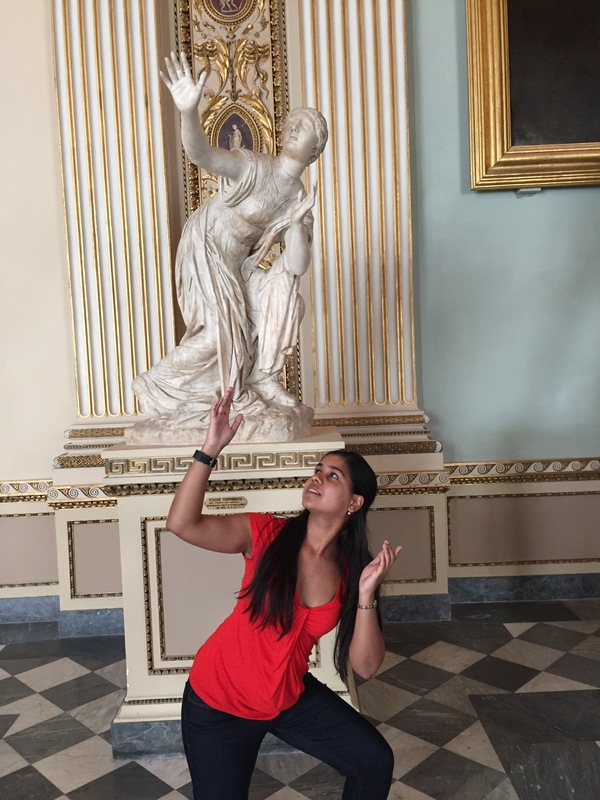 So we spent the next day at the Uffizi museum, being very cultured. We returned to Il Santo Bevitore the next evening, and the service couldn’t have been more different. Smiles abounded as we couldn’t decide on what to order, and recommendations were made with conviction, but happily switched up when my friend confirmed she couldn’t do spicy. We ordered the house wine, which is my go to when I’m in Italy, as it’s the easiest, cheapest, and often tastiest choice, particularly for a non-wine connoisseur like me. It was utterly delightful, and I had no qualms about ordering another glass soon after! 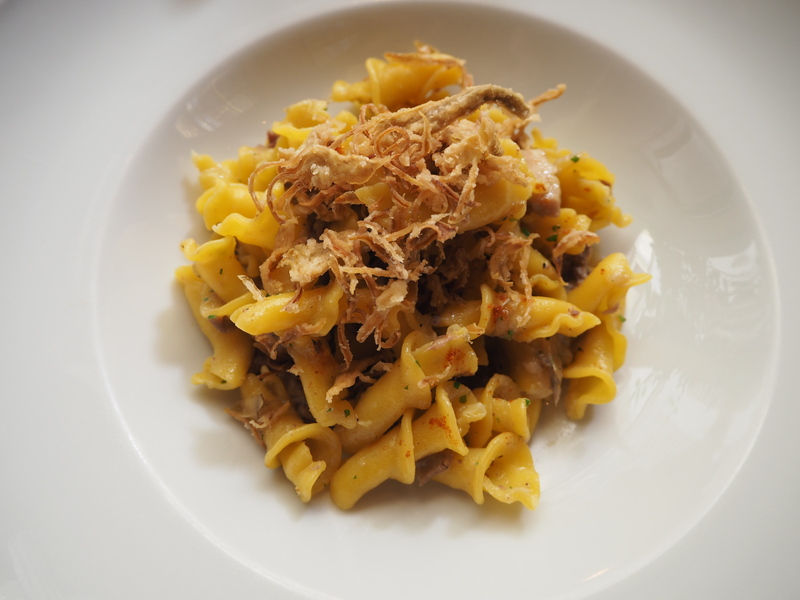 I usually aim to choose a different dish to my dining companion, so that we can share, but when we spotted the gigli di pasta fresco, lampredotta e carciofi fritti, we knew that neither of us would want to give up even one bite of it. 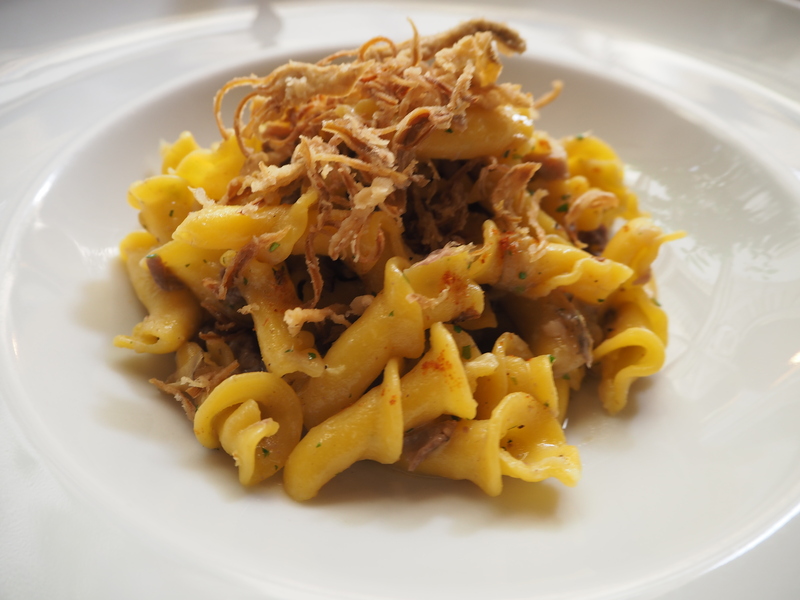 And it certainly lived up to our expectations… the dish was out of this world. We’d had 2 lots of pasta already on the trip, but neither of them compared even in the slightest. The shape of the gigli was like little trumpets, and it was perfectly al dente. Why do non-Italian restaurants always insist on overcooking their pasta?! The amount of beef was generous. There were a few grains of chili that perfectly served their purpose of a little kick in the first few mouthfuls, and no more, and the delicately fried artichokes just blew my mind. About halfway through the bowl, I got really sad at the prospect of the dish ending, and so I slowed my pace to savour every last bite! Luckily, we had also ordered a main course, so we had something to look forward to. As my friend had never tried rabbit before, I convinced her to overcome her aversion, and told the waitress we’d be sharing it. I could hardly believe it when they brought us two plates, with the entire dish already split in two – something I have very rarely seen, but which makes such a difference to the customer experience. 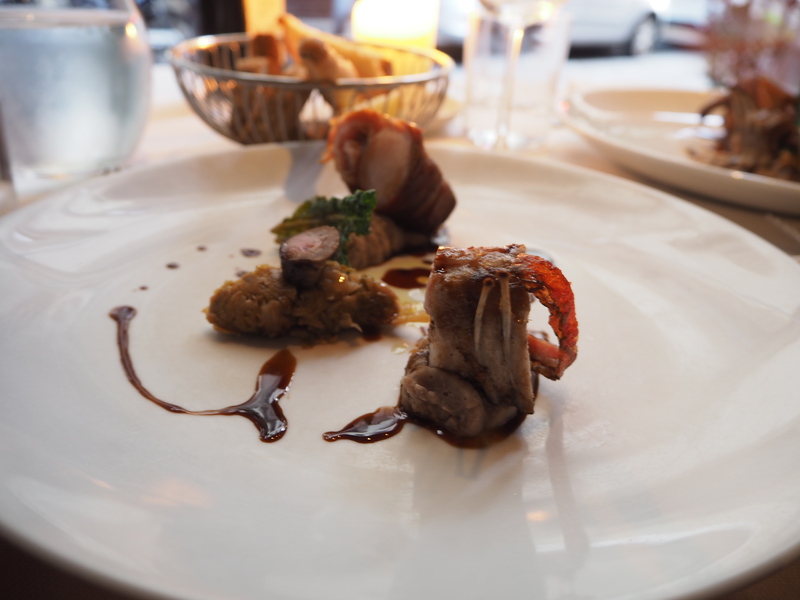 The rabbit was perfectly tender and wrapped in pancetta, and the porto rosso sauce was beautifully rich and moreish. Again, I slowed down to savour the dish more, and was nearly in tears when it ended. We finally asked our waitress to recommend a dessert (as if we hadn’t had enough gelato on this trip! 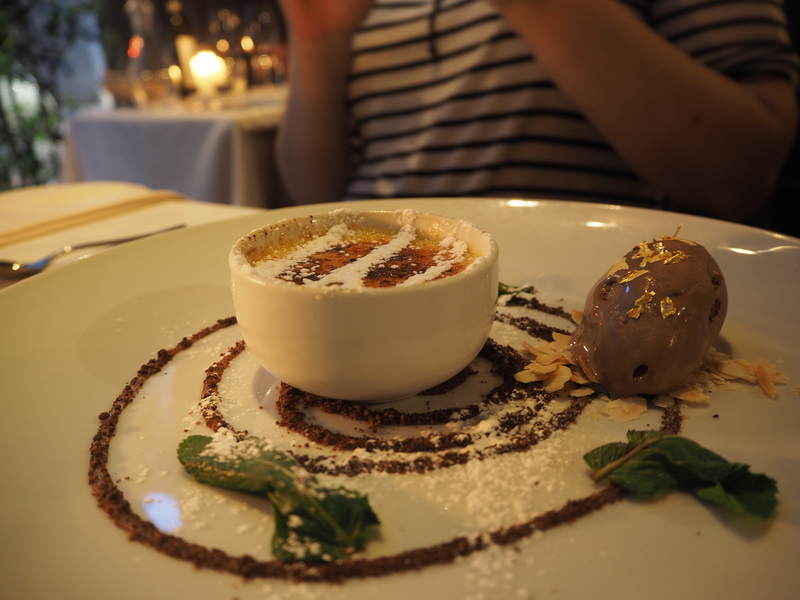 ), and she immediately said ‘the crème brûlée’. And oh, what a crème brûlée it was. I was a bit unsure of the addition of fennel, but it gave it a lovely fresh feeling, and the gelato scoop on the side was as good as Grom (more on that one in a later post!). The little chocolate crumbs that lined the plate were licked clean by us both, and we sat back, thoroughly and utterly satisfied. It was definitely the best meal we had on our trip, and considering the quality, very well priced (or am I just too used to London prices?). 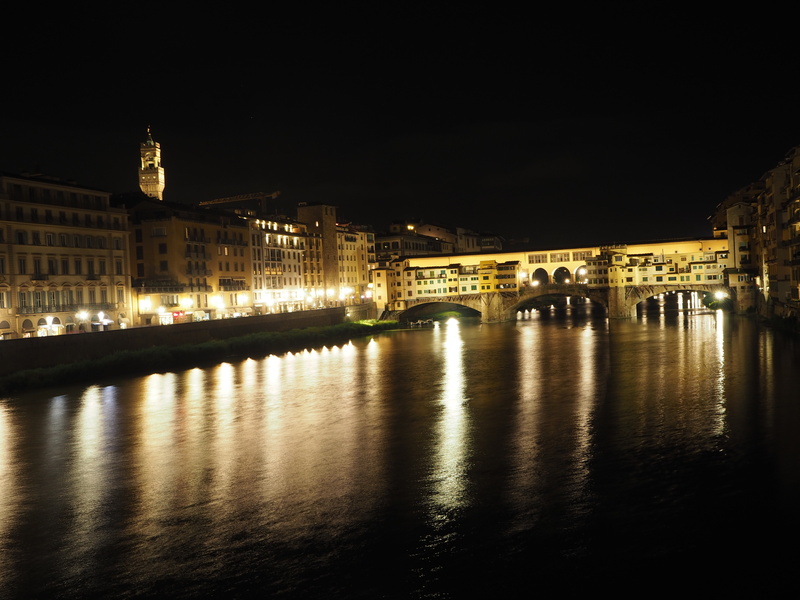 If you’re visiting Florence, don’t think, just go. But be sure to make a reservation. More culinary tales of pasta, pizza, paninis, and gelato will follow in due course! Oh this looks utterly scrumptious! I love that they plated the rabbit up for each of you, what a great touch!